Today’s contact center professionals agree- social media is not only an opportunity, but an essential part of the customer service mix. But there is no shortage of hurdles to overcome once the company makes social media channels a touch point for customer service. 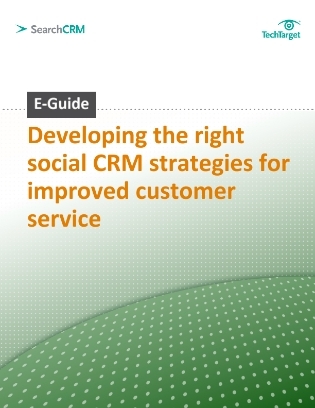 Today’s exclusive resource examines that steps businesses should take to ensure the seamless integration of social CRM into existing tools and processes. Inside, compare various networking sites- Twitter, LinkedIn, Facebook, Flickr- and find out the different benefits they offer to corporations and customers. Discover the value you can glean from analyzing and nurturing customer feedback from social media channels.